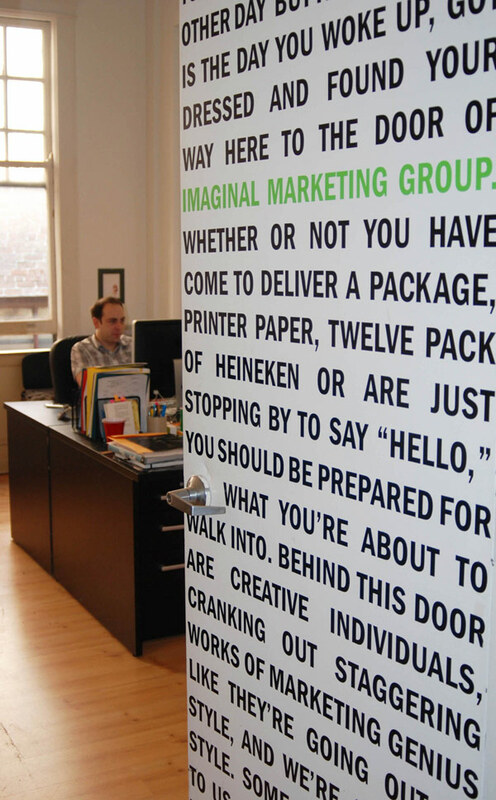 Objective: We wanted a cool front door sign that stood out and introduced us. Challenge: Door signs are kind of boring. Usually small, and well — not very exciting. Solution: We decided to make it exciting. Why do a small door sign when you have a whole door? This allowed us to have a lot more space to be creative. We sourced an inexpensive and eco-friendly adhesive that covered the entire door. The copy was written during happy hour so it was a little bragadocious. But we decided to go with it. Results: We met lots of people. Everyone who walked into the building noticed the sign, and many stopped by to tell us they loved it. It also won a Gold ADDY Award.